Brush Lettering at Albertine Press! « Pretty In Ink at Albertine Press! JOIN SIP & SCRIPT® FOR A NIGHT OF LEARNING BRUSH LETTERING! Join us at Albertine Press in Cambridge, MA for a night of pretty lettering! 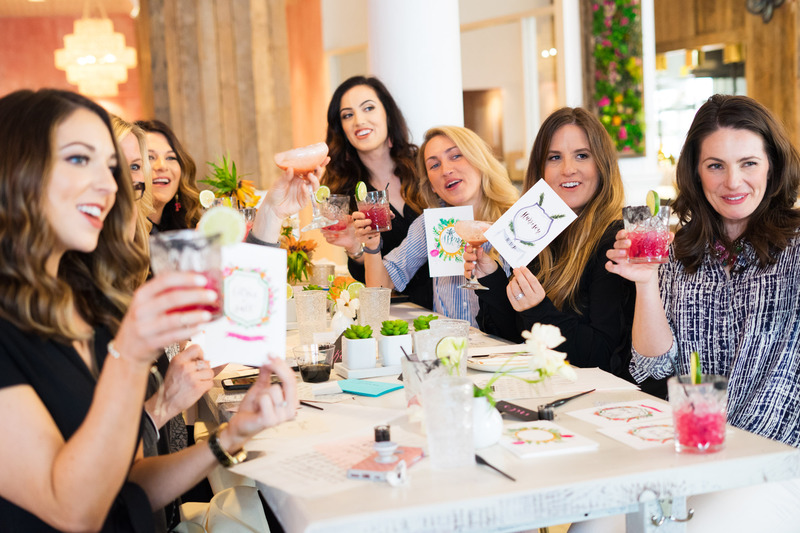 We’ve teamed up with one of our favorite brands, Brea Reese, to bring you a fun and creative event to learn the art of brush lettering using both brush markers and paint brushes. If you’ve always admired beautiful stationery, handwritten signage used at weddings or in home decor, or just love all hand crafts, after attending this workshop you’ll leave feeling confident to implement this art form into your own daily life! No experience is necessary. We cover all the basics with all the materials, prepping and mixing watercolors, and lettering through our brush alphabet. In addition to the supplies included in your Brush Lettering kit, we will have Brea Reese water brushes to sample. Everything is yours to keep at the end of the evening! To learn more about Albertine Press, check out their website and say hey on Instagram. Come early to shop, attendees will receive 10% off the shop!